You may have heard of Google’s biggest most recent search engine update called Hummingbird, but do you know what it does and how it impacts your search engine results placement? In other words, how does Hummingbird affect your business? This post covers a little history of algorithms, Hummingbird and what you need to do now to increase your search engine rankings. First let’s understand what a search engine does. A good search engine will index all content available on the web and then serve up results based on any given search. So if you’re looking for organic blueberry chocolate (without quotes) the engine will provide you with what it considers to be the most appropriate results for your particular search. For a search on organic blueberry chocolate today, Google found about 37,900,000 results (in 0.32 seconds). That means there are 37,899,990 other web results competing for page one placement when people search for organic blueberry chocolate. How does the engine know which sites to show the person searching (user)? That’s where the algorithm comes in. An algorithm is a mathematical formula, which calculates the appropriateness of each search result based on each person’s search. So if someone searched for How to make organic blueberry chocolate we will see a different set of results, because Google understands that the search is different. The first search (for “Organic blueberry chocolate”) is likely being performed by someone interested in buying some chocolate and the other search is about learning how to make it. Those two things are quite different. Ponder on that for a minute. I hope you’re starting to understand that the search engine is trying to be smart and doing it’s best to offer you as the user, the best experience by providing the most appropriate search results. So you want to know a couple of things. 1. How does the engine figure out which sites are the best ones to show? 2. How do you get your website or page to show on page one of Google? Yes, well that’s where the Hummingbird comes in. Let’s dig a little deeper. What are these changes and why does Google make them you ask? Sometimes the changes are small ones to shift the way the best quality search results are calculated and to keep search engine optimizers on their toes. Other times there are updates to penalize black hat (read unethical) SEOs for trying to game the engines. And yet other times there are major overhauls of the algorithm or engine to make it perform better in numerous ways. Hummingbird is such an update. It is like a replacement of the entire engine instead of just the replacement or repair of a part of it. 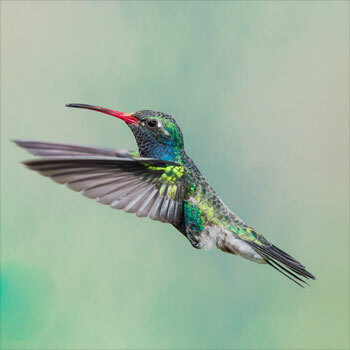 Danny Sullivan of SearchEngineLand.com says that one of the reasons for the name of the Hummingbird updates is because it is “precise and fast.” If you’ve ever seen a hummingbird, they are amazingly small birds with super powerful wings and thrust. They also seem to understand exactly where their food is based on color and scent and can quickly and efficiently retrieve the energy they need to sustain such an active little lifestyle. While other updates focused on penalties to sites for keyword stuffing, bad inbound links and poor PageRank, Google’s Hummingbird’s main change is focused around understanding what the user wants. In search and web marketing this is known as user intent and a huge amount of energy has gone into being able to understand user intent in order to provide the most appropriate search results. According to Giselle Aguiar, “Hummingbird looks for natural language — well-written (no typos or grammatical errors), high-quality content on webpages. And in a recent case study, Giselle found a way to attract the Hummingbird to the feeder. How? She posted to a blog at least 3 times a week with one of them being a video. Because YouTube is the 2nd largest search engine after Google and YouTube is also owned by Google, “embedding video in a blog post combines the best of both worlds.” And Giselle is not a trailblazer there are many other SEOs backing her up. James Wedmore will tell you this as well. Just look at how many “How to…” articles he has posted on his homepage. 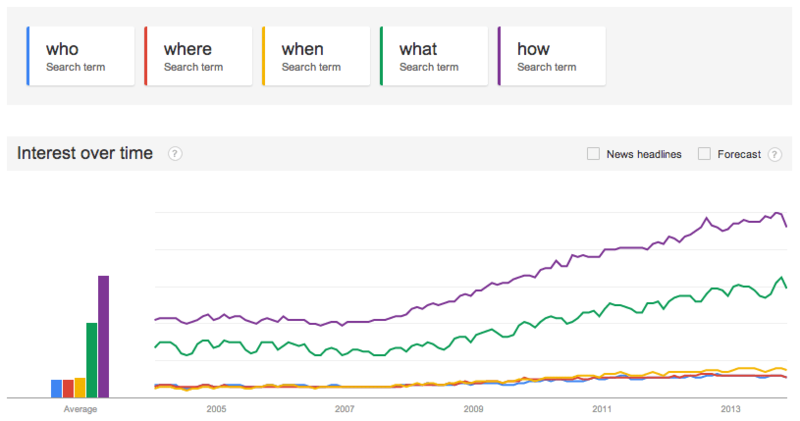 Salman also brilliantly shows how there has been a significant increase in the number of “how” and “what” words in search queries over the last few years. Look at his chart here and read his thoughts on Hummingbird strategies. 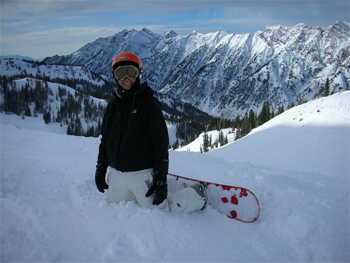 Last but not least, we still have lots to learn from the pool salesman, Marcus Schneider who was able to sell tons of fiberglass pools in a dwindling economy just by understanding his audience’s needs. So how do you get found with search? 1. Focus on good content that will be useful to your audience. 2. Answer questions that your customers are asking. 3. Write blog posts frequently and embed videos in them for your own Jab Jab, Right Hook combination. 4. Remember that SEO is a marathon and not a sprint. Content marketing takes time. Know your audience, understand your market and always provide value. 5. Help people find what they are looking for. Answer search questions. What makes perfect partnerships in business? To be social means to have and form partnerships of all kinds. Whether it’s a partnership in the form of becoming a fan or follower, a friendship with a high school classmate, a business partnership or simply a meetup group for learning and expanding your contacts, partnerships are prevalent in marketing today. They always have been, but if you look at the most successful businesses today, it’s those that have been most strategic and smart with their partnerships. Google’s Larry Page and Sergei Brin were the original dream team who started Google. They then hired Eric Schmidt to create a partnership that resulted in the beginning of profits for the company. Google purchased many a young startup company including Blogger, Picasa, and YouTube and those partnerships even if they were acquisitions has served to increase profitability exponentially over time. Google also partners with its customers by helping them make money for themselves through their core product, Google AdWords. They provide many tips, tools and tutorials for advertisers and reward customers who are performing well with better pricing and higher rankings. Facebook has partnered with several third party application developers, (such as Votigo and Involver) service providers (like Spotify and Instagram) and game developers (like Zynga) in order to keep their user base. We partner with twitter users every time we reciprocate a follow, retweet or enter into public conversations. No solitary person can exist in a vacuum and certainly no marketing can happen without anyone around. In the conversation economy, word of mouth is a world of mouth. 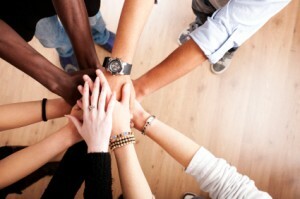 People and partnerships are crucial for business and even more crucial in social media marketing. What are your favorite examples of winning partnerships in business today or from the past? Please add your thoughts in the comments area below. SEO Tips for Blog Posts may not be something you search for everyday, but it is indeed something many small businesses are interested in. That’s the reason for this post and I hope you’ll find it useful. Determine the keywords your post will be focused on. When it comes to SEO tips for blog posts, your first and foremost priority is keywords. You already have a topic for your post in mind, so you likely have some ideas for a keywords, however, your first ideas may not be the best. 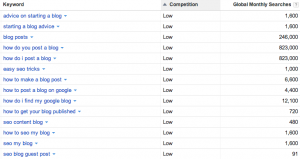 For example, my first idea for this post was not “SEO Tips for Blog Posts,” so you may want to do a little research to understand which keywords are going to get you the most search volume for the lowest amount of competition.You can do that by entering your keyword ideas into the Google AdWords Keywords Tool. It’s meant for use with Google AdWords, but it’s also very helpful for SEO research as well.The first (SEO for you and your blog) tool is your friend Google.For example if you’re writing a post about “Search Engine Friendly Blog Posts” search for that keyword term and look at the results. What do you notice? The competition looks very high and the keywords aren’t exactly what you’re writing about.If at first you don’t succeed… try again! This is starting to look more promising, because we are seeing low competition and high volume. 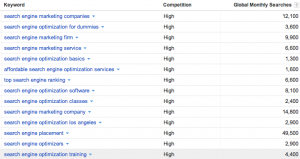 “seo for you” with low competition and search volume of 60,500. “seo tips for blogs” with low competition and search volume of 1,300.
and a combination of these should serve us well, so now we’re ready for Step 2. Include keywords in your post title/heading. 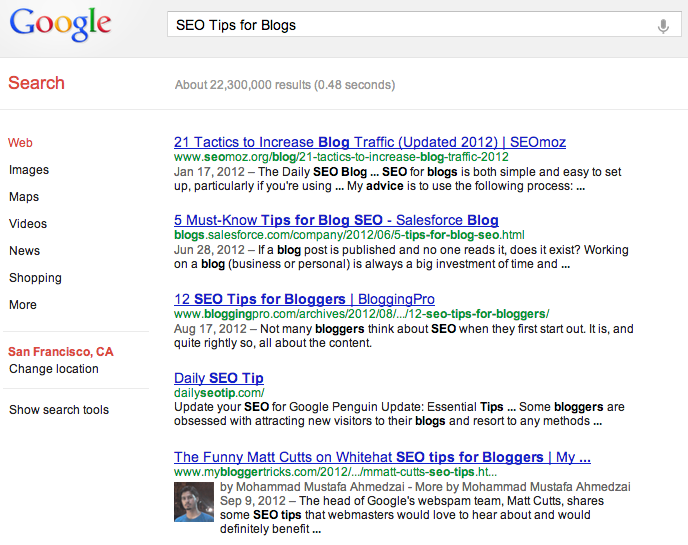 Search for your title ideas in Google (SEO Tips for Blog Posts) to see what your competition is. 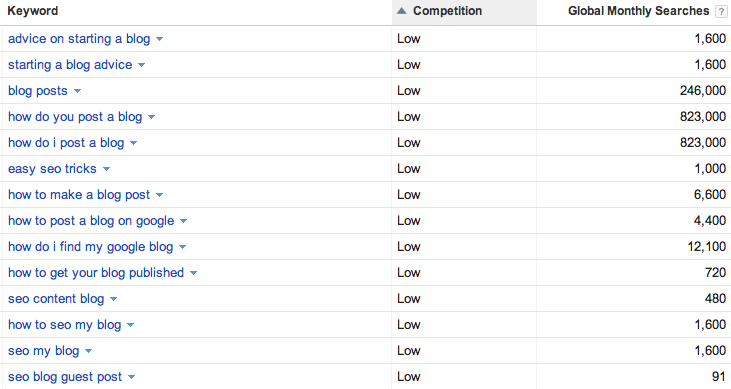 ReSearch your competition based on the title your have defined to understand what you’re up against. Remember there are no competitors, only teachers. What do the results you see from this search teach you? Include keywords in hyperlinks in your post. Can you link to a related article, video or site using your keywords in a hyperlink? If so, this will give you a boost in your search rankings. Include the keyword phrase several times within the post, but no more than 5% of the post. Yoast is the best WordPress plugin for SEO for your blog. 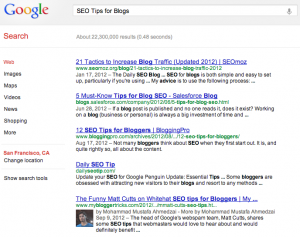 The plugin will tell you exactly what changes to make in order for each blog post to be SEO friendly. Too short and there won’t be enough words for the search engine to understand the relevance of the article. Too long and you will dilute the relationship between your keyword phrase and the rest of your content. Don’t overload your post with the keyword phrase you have chosen. Just be sure that appears about 5% of the time throughout the content. The Yoast plugin for WordPress tells you exactly how much you are over. These help human visitors understand what each image is if they are viewing with images turned off and/or if they are visually challenged. Search engine don’t mind if you include keywords in alt tags, but it is best to be as descriptive of the image as possible so that your blog post is most accessible. As with any blog post, it’s always good to add value and offer as much as you can to support your idea. After all, good content is what people like to share and link to and those inbound links are also extremely helpful in SEO and your search engine rankings. What are your biggest SEO and blog related tips and/or questions? Along with the rest of the web, search continues to grow and evolve this year. 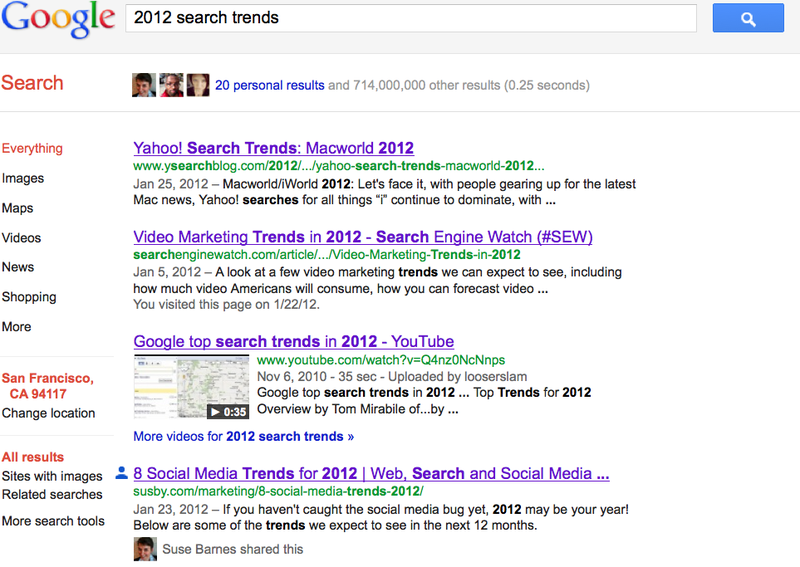 Here are our top search trends to watch and be a part of in 2012. 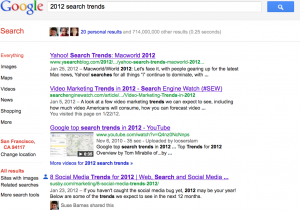 With the 2011 advent of Google+, it is no small wonder that Google search has gone social too. When logged into your Google account, your searches and browsing are tailored to you and your network. You now have the option to view posts from friends first, and additionally, the remainder of your search results will be tailored to you, your preferences, and your network as well. As a result of social media’s rapid gains in search, we can expect to see links that are shared most via social networks to gain higher organic rankings on search engines. Page Rank? Not so much. As a result of search becoming so personalized, page rank as we knew it in the past will fall to the wayside. With so many factors being used to determine page rank—social media, location, and search history—results will differ for each individual, making page rank an obsolete measurement. Mobile Search: More personal than ever. 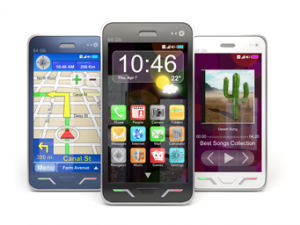 With exponentially more cell phone users upgrading to smart devices, mobile search is changing rapidly to keep up. Highly localized apps and sites such as Foursquare, Yelp, Groupon, Scoutmob, and other geo-based services have changed the way we search from our phones. According to websitemagazine.com, Foursquare is the check-in app leader. Foursquare’s plans to enhance their offers and explore features, means that Foursquare and similar apps will be used even more for search in 2012. Google reported in 2011 that 79% of mobile users search on their phones while shopping and that 95% of mobile searches relate to location. Mobile advertising will also increase in 2012 as advertisers increasingly realize that mobile search provides valuable leads. eMarketer.com reports that mobile ad spending is projected to exceed $2.6B this year. $1.45B was spent on mobile advertising in 2011. In 2012, more and more ads will be delivered via video as opposed to text ads. There is speculation that Google will begin offering incentives to advertisers (based on budget size and ad quality) to maintain their stronghold of the PPC arena. 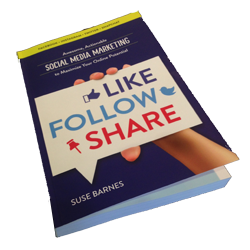 With social media becoming increasingly ubiquitous, advertisers will keep up with the trends by asking for “likes,” “+1’s,” and “follows” in their 2012 advertising. Google hit the 1 billion monthly unique visitors mark in June 2011, so it is no secret that search has become quite powerful. Search has become so influential in fact, that correspondents project that Google searches may be a better indicator of election results than preliminary polls. 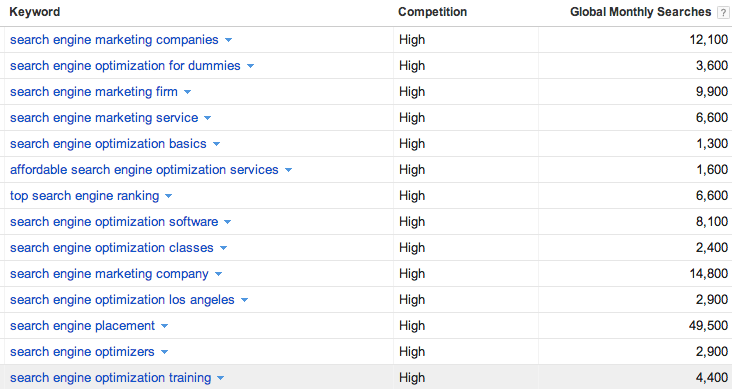 So, what was the most-searched term on Google in 2011? Facebook. We’ll be back soon to report on 2012 mobile trends. In the meantime, please share your thoughts with us on search. What are your favorite tools for finding the information you need? Amidst all the iPad (or as some say “iBad”) hype, Google announced that it’s social search is now out of labs and in it’s infamous beta testing phase. Beta for Google means it’s available to you to use while they test it, but for most of us, that means it’s ready. Yes, they will continue tweaking it before it is out of Beta, but they have been known to have products in Beta for several years. Gmail being no exception. A moving picture is worth more than a thousand words, so take a look at Google’s introduction to keeping the web as social as it is below. Otherwise, see Google’s blogpost – how social! Is Google trying to get you out of Facebook and back onto their site? Please leave a comment. Google recognizes the power of the social connectors (aka social media) by showing real-time search results including content from Facebook and Twitter. Google is unveiling the “Latest Results” which will show tweets from Twitter streams, updates from Facebook, answers from YahooAnswers and more. To me this indicates the power of real-time results. The freshest content and opinions are what searchers are interested in. Google obviously respects the power of the crowd and continues to believe in us. After all, we are the people who power Google. Google both serves us and we serve them by clicking on ads. It’s a symbiotic relationship. I wonder if they will start showing Aardvark results as well.